Travel back millions of years when you play the new Jurassic Park video pokie. This new game is one of many epic online pokies created by online gaming genius Microgaming. Based on the 1993 Steven Spielberg hit of the same name, the Jurassic Park online pokie effortlessly emanates the excitement and adventure of the original film. Not only will you be blown away by the Free Spins, Scatters, five bonus games, and a special T-Rex Alert Mode, but the Jurassic Park video pokie also contains cutting edge graphics and animations. And with a minimum required bet of 15.00 and maximum jackpot of 8 000 coins in the base game, this video pokie is sure to guarantee you some dinosaur-sized payouts! Jurassic Park is a non-progressive video pokie built on 5×3 transparent reels. It has a scatter symbol, wild symbol, free games, and a host of special features. These special features are generous and pay out frequently. For example, you can win up to six multipliers in the Brachiosaurus and Velociraptor Free spins Bonuses, of which there are five in total. The simplest kind of win in Jurassic Park is awarded for left-to-right adjacent symbol combinations which pay in any position. Wins incurred by the 243 ways are multiplied by your bet but only the highest winning combination will award per symbol combination. The Wild symbol substitutes for all game symbols except the scatter symbol to complete winning combinations. This game has its own special Triple Stacked Wilds which you will find in the Base Game. The scatter symbol wins are multiplied by the total bet staked and adds to way wins. You can win up to £95 000 in the Free Spins Bonus feature, which is triggered by 3, 4, or 5 scatter symbols. There are five bonus features: Tyrannosaurus Rex, Velociraptor, Brachiosaurus, Triceratops, and Dilophosaurus. 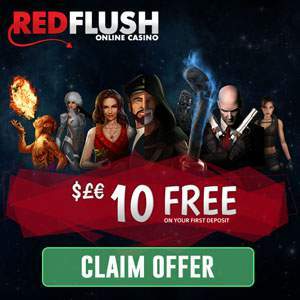 Each has 12 free spins plus additional features. For example, Bonus 1 (T Rex) has Wild Reels; Bonus 2 (Velociraptor) comes with split wilds or wild multipliers; Bonus 3 has a Mystery Multiplier; Bonus 4 has Running Wilds™, Random Stack Nudges, and a Re-spins feature; and Bonus 5 has a Winning Wilds feature. The Free Spins in each round cannot be re-triggered. But the defining feature of the Jurassic Park pokie is without a doubt the T-Rex Alert Mode. This special feature triggers randomly in the Base Game and lasts for six paid spins. Keep in mind that the Alert Mode cannot trigger with or during the Free Spins feature, The bet size is also capped at a maximum of the current bet. This reduction also reduces the amount at which the bet is capped, so you will not be able to increase your bet size during the T-Rex Alert Mode. The Jurassic Park video pokie is a lot of fun and there’s so much to win. Head over to your favourite online casino to play.